as he talks about his new work, The MissTape - EP. The Nigerian songwriter discusses some of the ideas/themes on the E.P. and the song that stands out to him; why genres like Afrobeat are so important to him – I ask whether his Nigerian heritage and D.N.A. affects the way he writes and performs. DeanKelly talks about some of the artists who have impacted him and what he wants to achieve going forward; a few albums that mean a lot to him; what advice he would give upcoming artists – he ends the interview by selecting a great Afrobeat-inspired cut. Hi, DeanKelly. How are you? How has your week been? I’m swell, fam. It’s been great. Thank you. 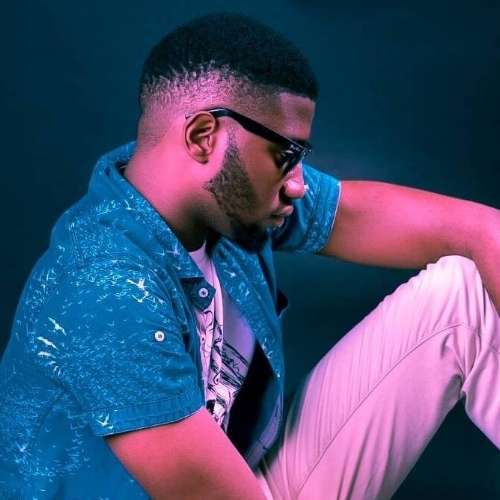 I’m DeanKelly; a singer-songwriter based in Lagos, Nigeria. What can you reveal about The MissTape - EP? What are the themes that inspired it? The MissTape, my debut E.P., is something I’ve been working on for some time now and I’m really ecstatic about the reviews...like, a lot of people love the E.P. The E.P. is, basically, about my quest for love (not necessarily true love); love for ‘the now’ (laughs). While I was composing the E.P., I pictured myself in different scenarios (a club, a street…) where I saw a beautiful girl and making her mine was the only thing on my mind...well, one of the things (laughs). So, these scenarios helped shape the foundation of the E.P. It has an Afrobeat heart. Is it a style of music you react to? Does it have a great spiritual importance to you? Yeah, it is because of where I spent most of my life (Nigeria) I grew fond of Afrobeats and it’s really amazing cus the Afrobeat scene is starting to gain recognition and I’m happy to be a part of it. You are of Nigerian origin. Do you take anything from the country’s people and spirit for your own music? Hell, yeah. I infuse my Nigerian origins into my music a lot; from my words to the way I jump on a beat to the instruments used on a beat. The possibilities are endless, especially with Afro-Fusion - when you fuse Afrobeat to foreign sounds. Was there a moment recording the E.P. that stuck in the heart? Is there a song that stands from the rest? There are many moments. From the hardship I faced during the period when I was making the E.P. ; sleepless nights spent in the studio (laughs) etc. But, the moment that really got stuck in my head was when I was making MonaLisa. The song was inspired by a female friend of mine in an abusive relationship and she wouldn’t leave the guy and it was so sad cus I knew she deserved better. So, yeah, I did a song about it. There’s a story behind every song on the E.P. To be honest, I don’t have like a favourite song off the E.P. cus I love all the songs - but I noticed I’ve been listening to MonaLisa a lot lately. What sort of music were you raised on? Were your parents responsible for your love of sound? It’s funny cus, growing up, I listened to a lot of Céline Dion, yeah (laughs). I remember waking up listening to the likes of Céline Dion, Don Moen; Plantashun Boiz and a lot of music. I’m like this vocabulary of sounds cus I listened to a lot of people growing up (laughs). I can’t list all of them but a few artists that actually inspired me were Chris Brown, T-Pain; 2face Idibia, Wande Coal etc. Nope, my parents weren’t. I mean, my mom loves singing in the house but she wasn’t responsible for my love for sound. Or maybe she was (laughs). Subconsciously. Yeah, sure, pretty soon. Just make sure y’all check my site and follow me on social media platforms for more info on that. Yeah. I believe one should set goals; it’s kind of a marker for measuring success. With these goals, one can plan and, with strategic planning, results are as achieved...you feel me?! Before the year ends, I want an increase in the number of people listening to my music. I want to perform at events and have fans singing my song along with me out loud (laughs; *exhales*) - one of the greatest feelings ever. Oh, yeah. A couple but, right now, the one that’s in my head is (one time) when I was performing and people were bringing out their phones to takes pictures and videos. Crazy. Keep recording, keep working; work hard, work smart and please be humble (laughs). Errr, I don’t (laughs). Just go on SoundCloud: there’s tons of talent on there. I watch T.V. shows, movies and listen to more music (laughs). There’s no chill for me right now - I’m always working (smiles). Wande Coal, DJ Tunez – Iskaba. Now, that record is some classic Afrobeat stuff (laughs).